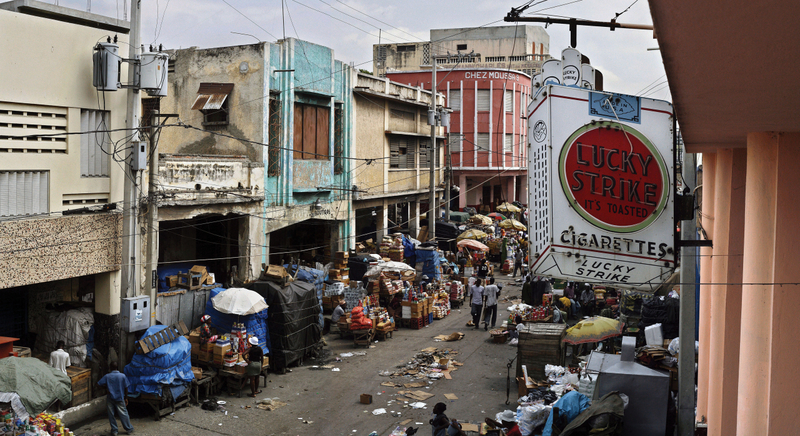 Roger LeMoyne, La République de Port-au-Prince: Lucky Strike, December 2005, Archival giclée print on lustre paper, 24 × 46". Courtesy of the artist. Roger LeMoyne, La République de Port-au-Prince: Marché en Fer, January 2010, 2010. Archival giclée print on lustre paper, 24 × 46". Courtesy of the artist. 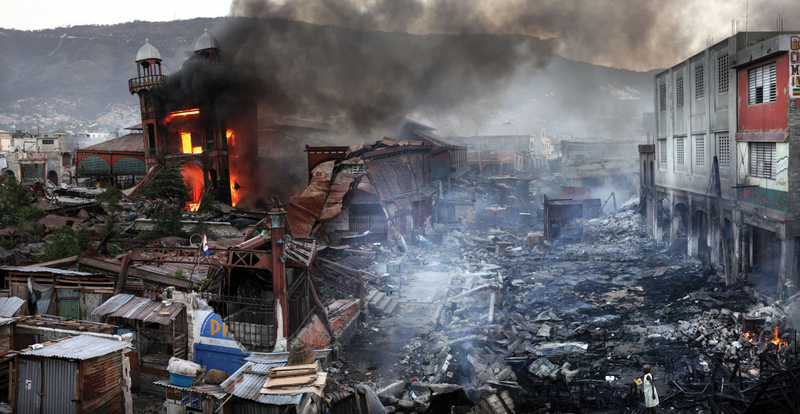 Roger LeMoyne, La République de Port-au-Prince: Rue du Magasin de l’État, January 2010, 2010. Archival giclée print on lustre paper, 24 × 46". Courtesy of the artist. 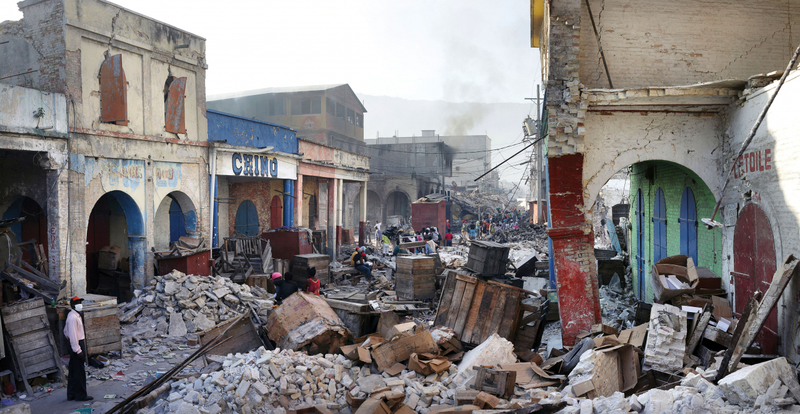 Speaking as part truth and part wry joke, Haitians often refer to their capital as “the Republic of Port-au-Prince.” The city is home to almost 50 percent of the country’s population, and is strikingly different from the rest of the largely rural nation. All cities are rife with contradictions—rich and poor, sacred and profane, beautiful and ugly— but in Port-au-Prince, these opposites overlap and coexist almost everywhere, every day. Montreal-based photographer Roger LeMoyne has travelled to the area repeatedly over twelve years, focusing his photographic exploration on this continual mingling of contradictions. LeMoyne’s project documents the city from 2005 to 2017, beginning before the earthquake, pivoting on the spectacular nature of that tragedy, and following through halting reconstruction to the Karnaval celebrations of 2017. He photographed many of the locations multiple times over the years, with the architecture of destruction and the destruction of architecture being a recurring theme. His images reveal that, despite tragedies, the people of Haiti retain their dignity through culture, art, humour, and self-composure.